Thank you to everyone that visited our booth at the 2018 CES trade show. 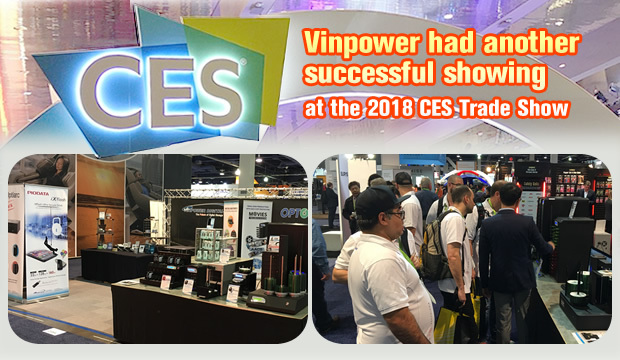 Once again, Vinpower received great feedback from the show floor and took a number of meetings with valued customers and vendors alike. This year, we introduced a number of new products and offering, like the upcoming iXflash Apple iPhone/iPad flash drive, standard flash media, enhanced flash and HDD/SSD duplicators and more. In addition, we showcased our full line of publishing and duplication hardware among other elements of our product lines. * or any number of other exhibits we will attend throughout the year.